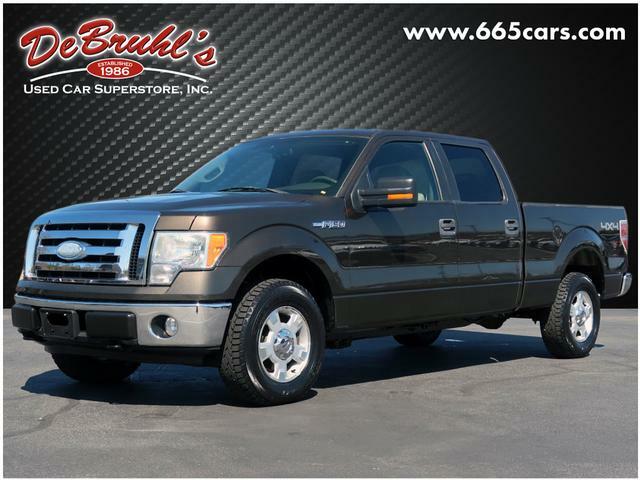 * 8 Cylinder engine * * GREAT DEAL AT $18,950 * * 2009 ** Ford * * F-150 * * XLT * Dont miss out on this 2009 Ford F-150 XLT! It comes with a Bluetooth, traction control, AM/FM radio and CD player, anti-lock brakes, dual airbags, and side air bag system for an even better ride. It comes with a 8 Cylinder engine. Rocking a ravishing dk. gray exterior and a medium stone gray interior, this car is a sight to see from the inside out. Dont skimp on safety. Rest easy with a 5 out of 5 star crash test rating. Dont regret waiting on this one! Call today to schedule your test drive. DeBruhls Used Car Superstore is the largest independent auto dealer in WNC! We offer a full range of financing with our guarantee credit approval, everyone is approved here.